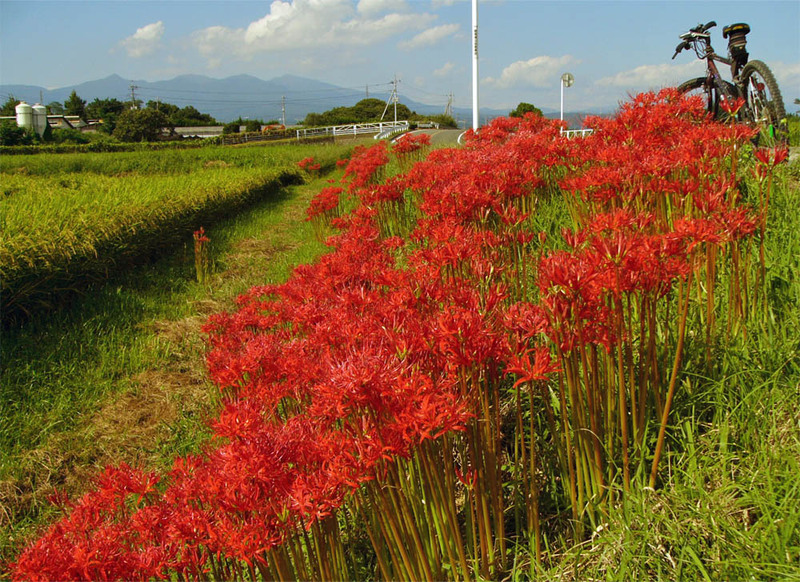 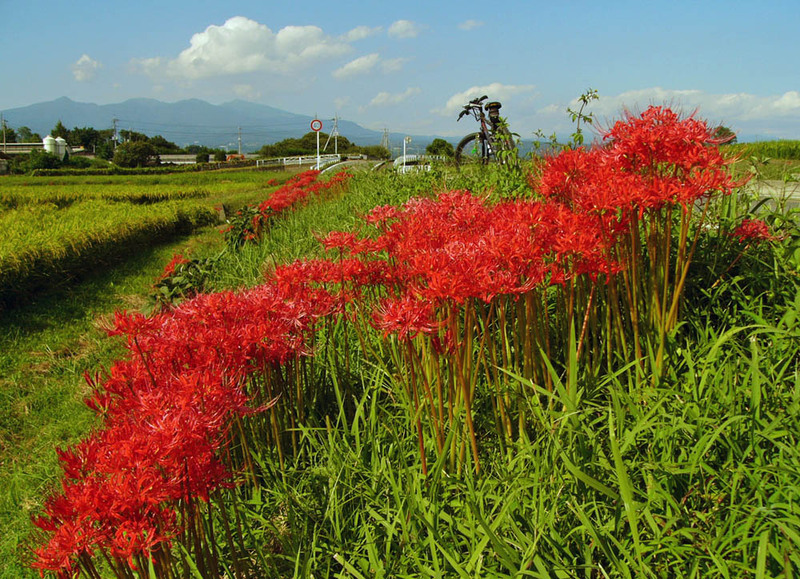 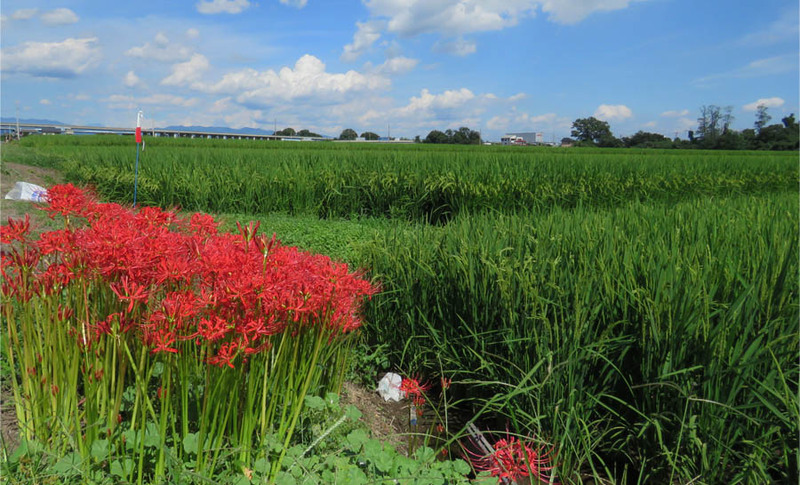 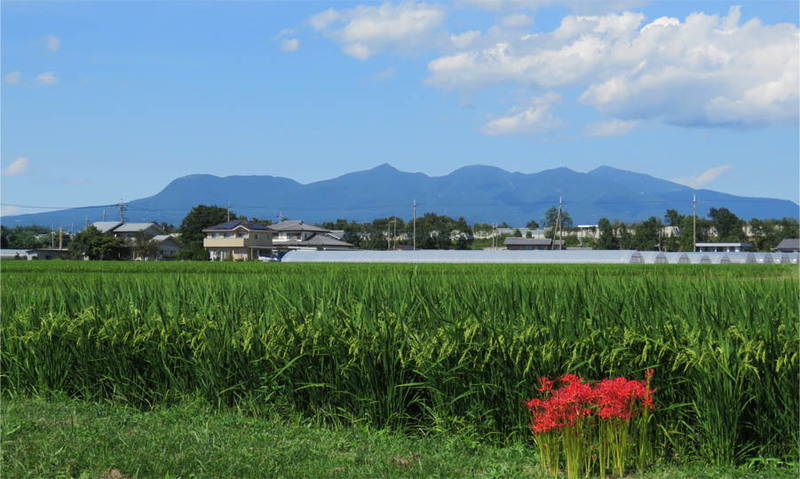 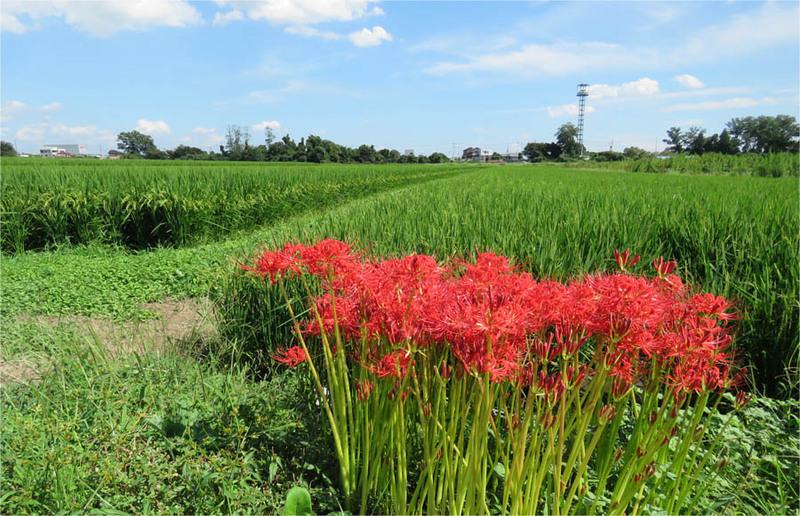 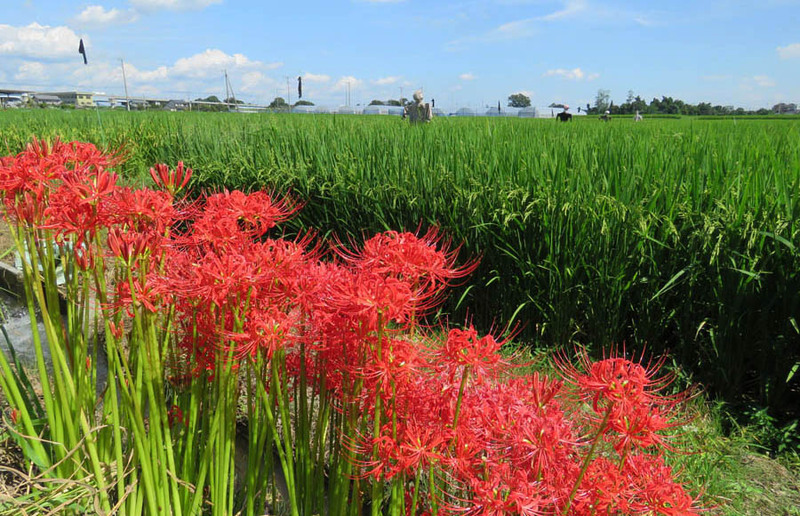 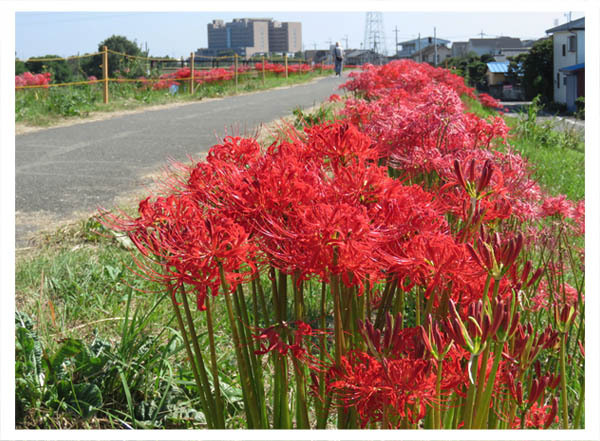 Speaking of the famous place of the Lycoris in Isesaki City, it is " Natural Forest Park of Mount Ontake" or "Sakaimitsugi Forest of Lycoris". 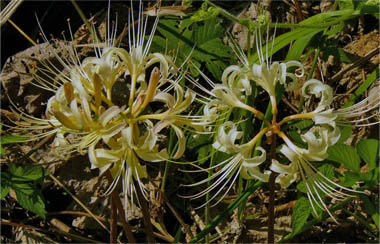 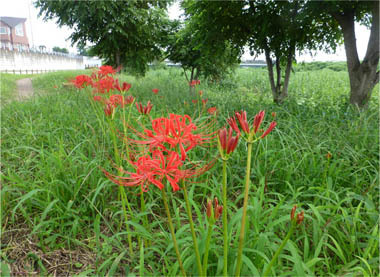 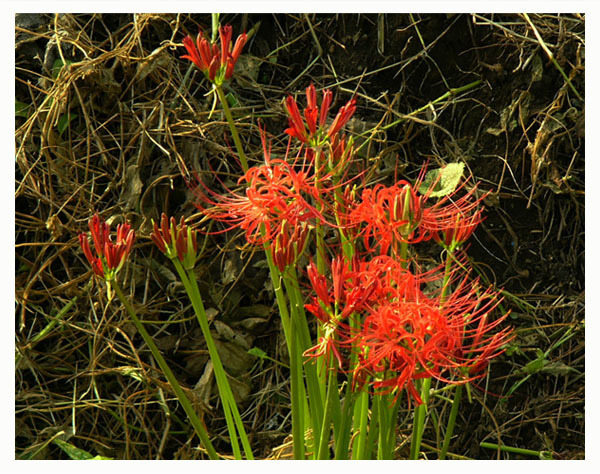 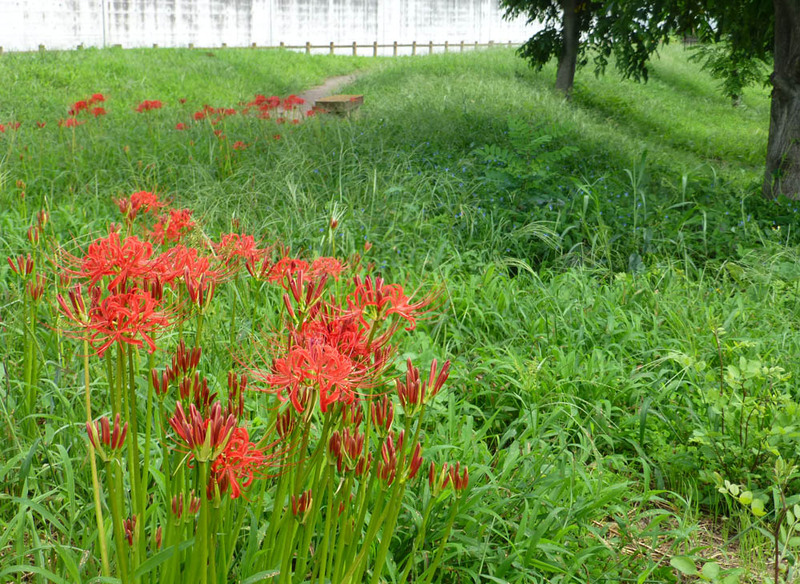 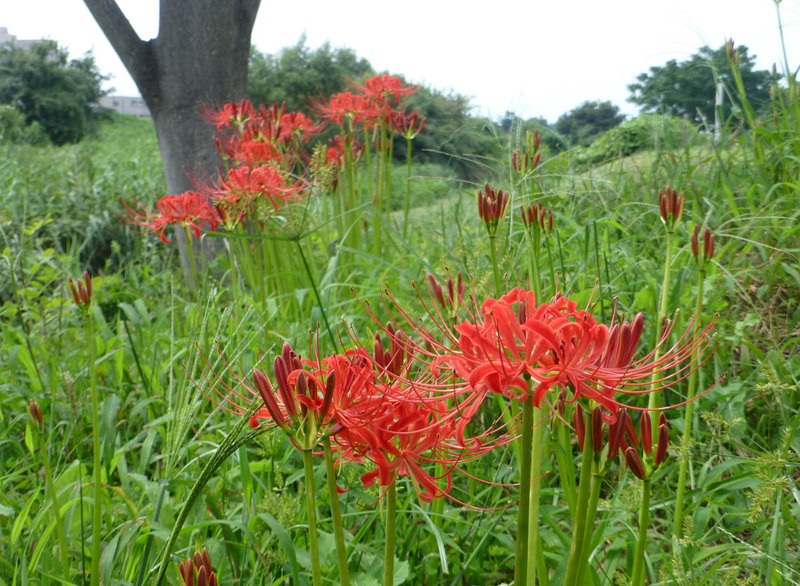 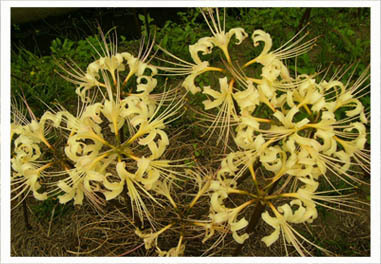 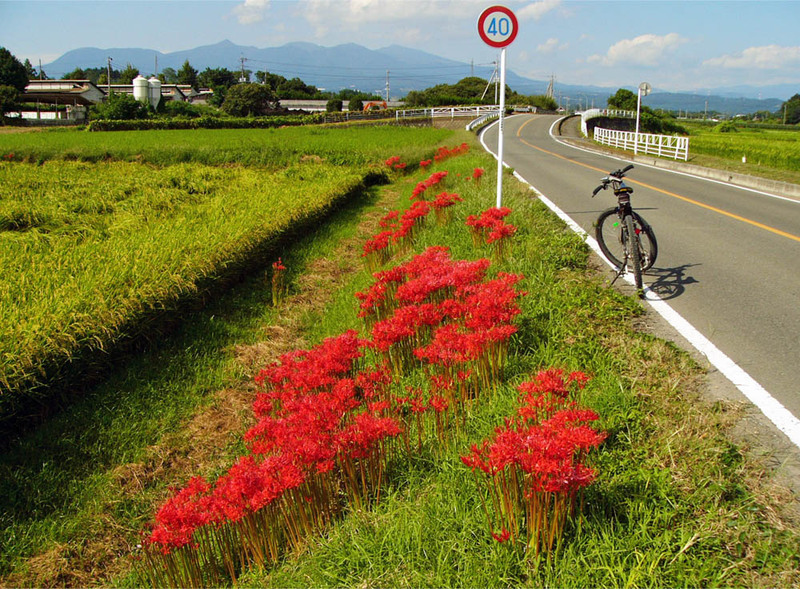 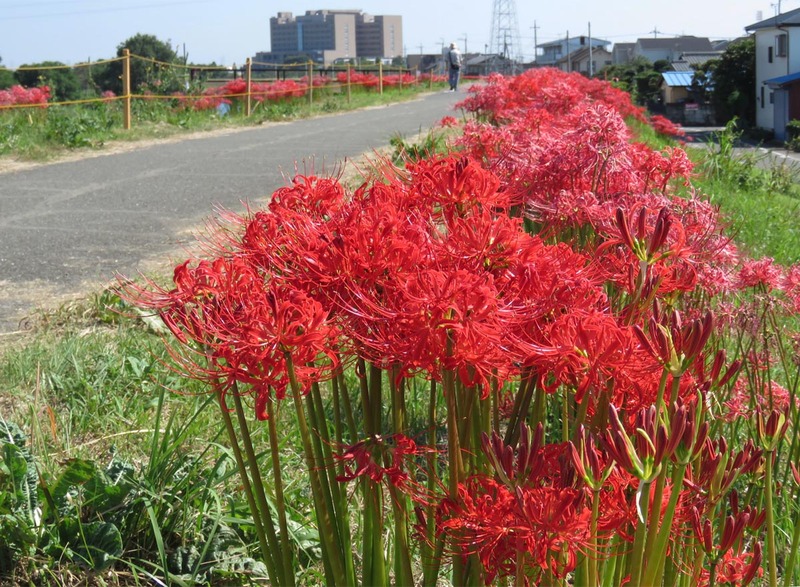 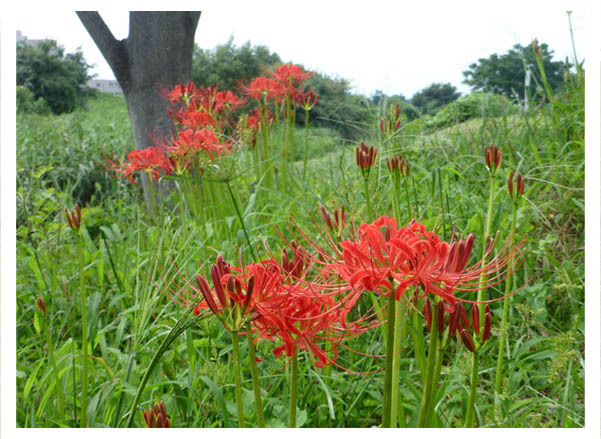 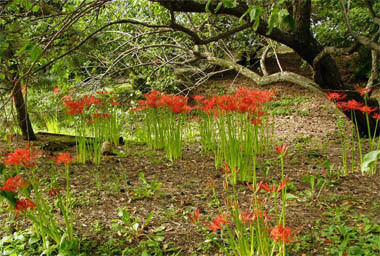 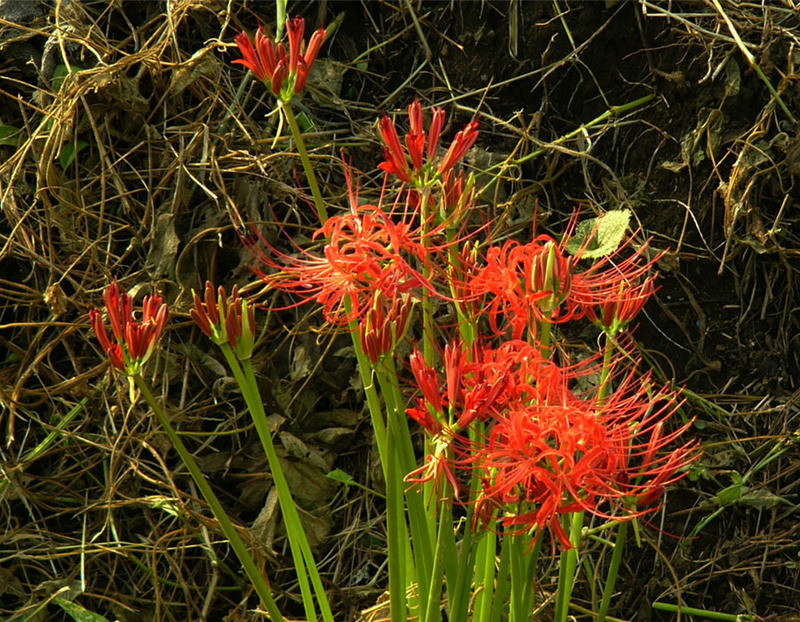 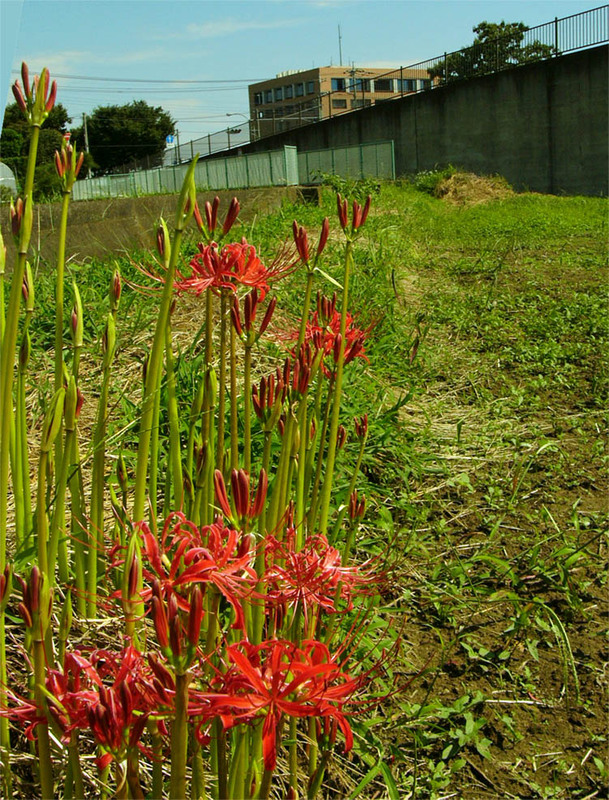 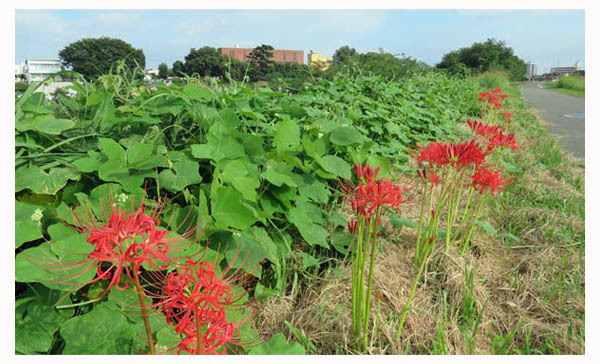 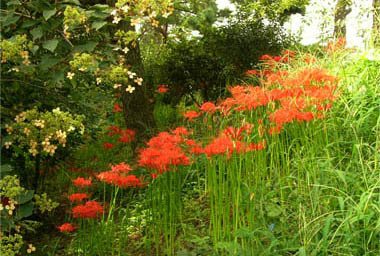 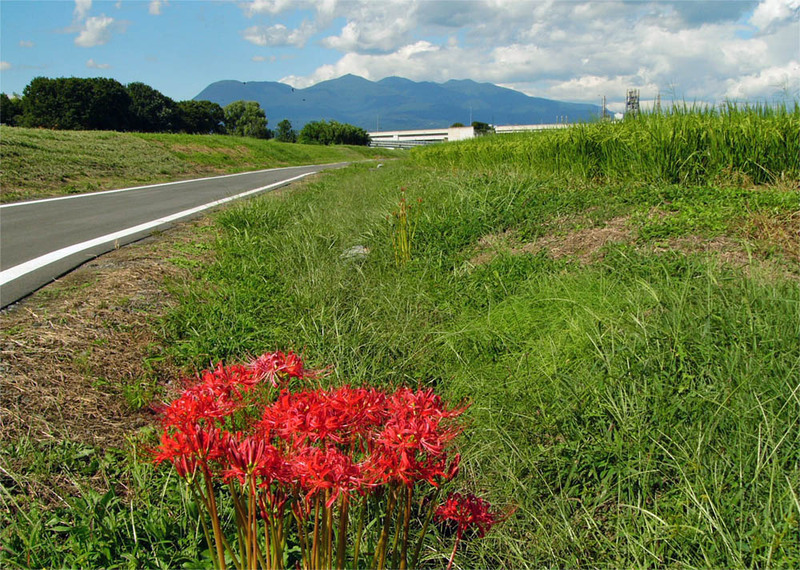 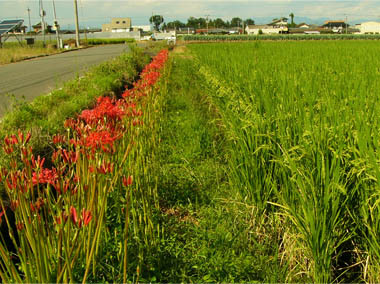 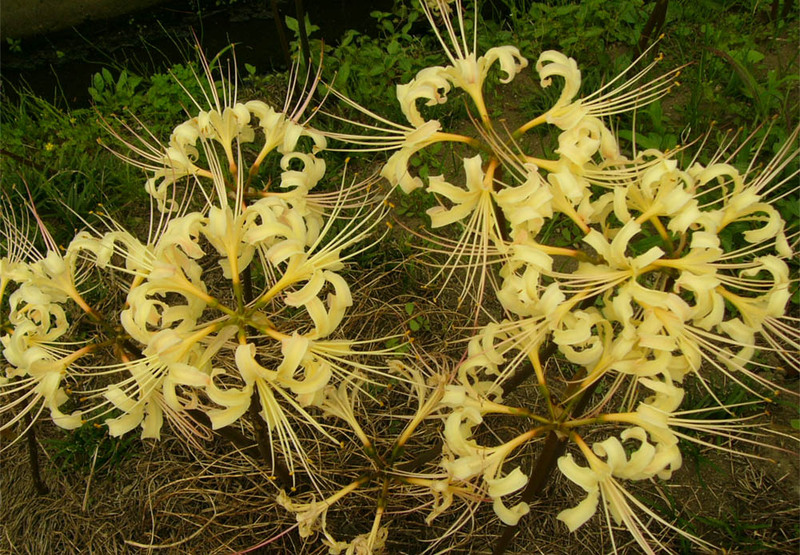 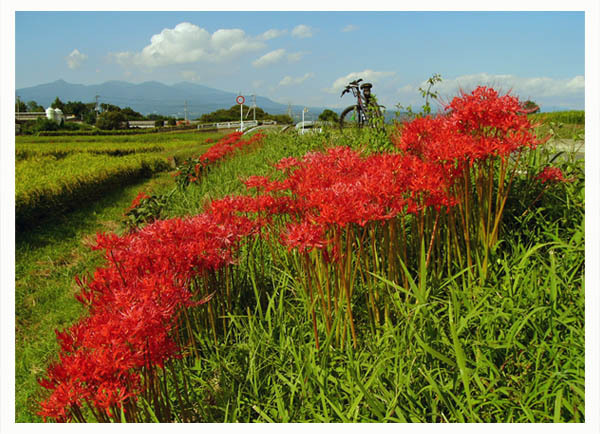 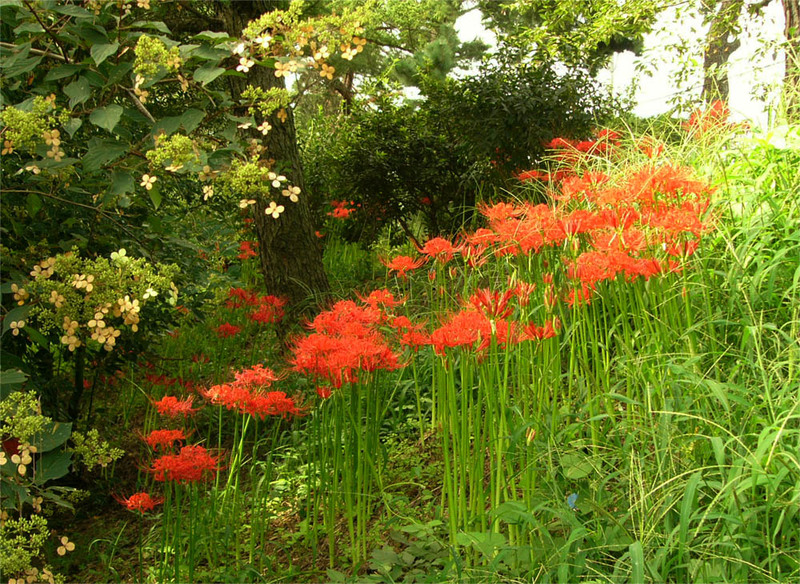 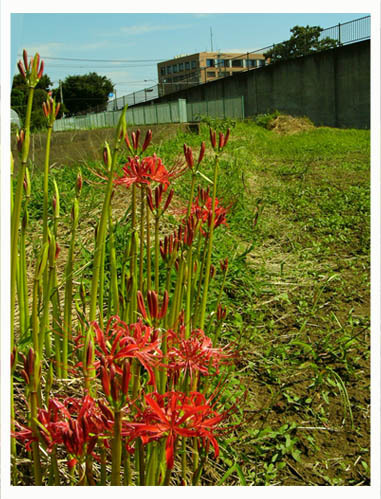 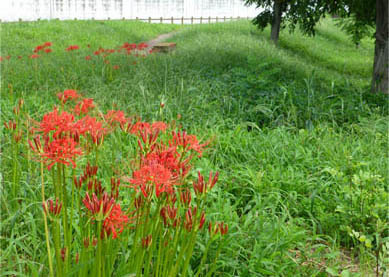 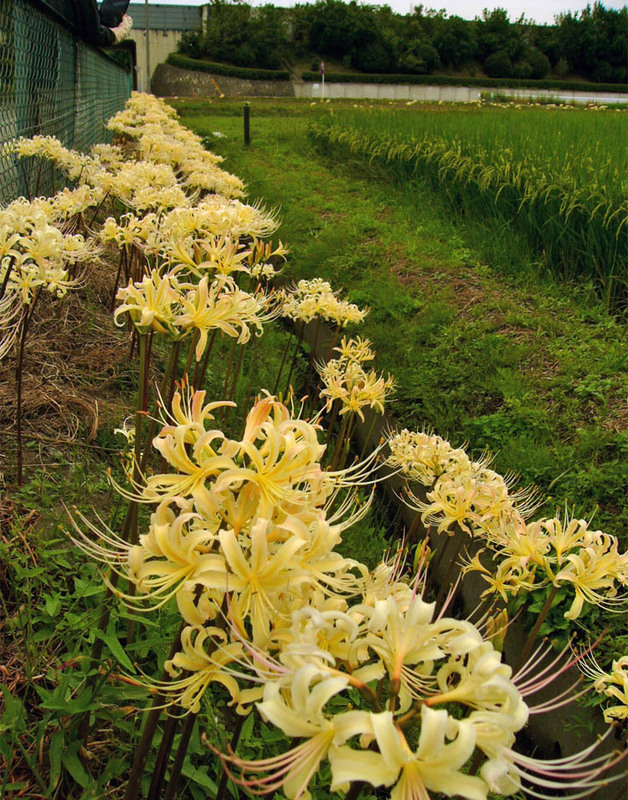 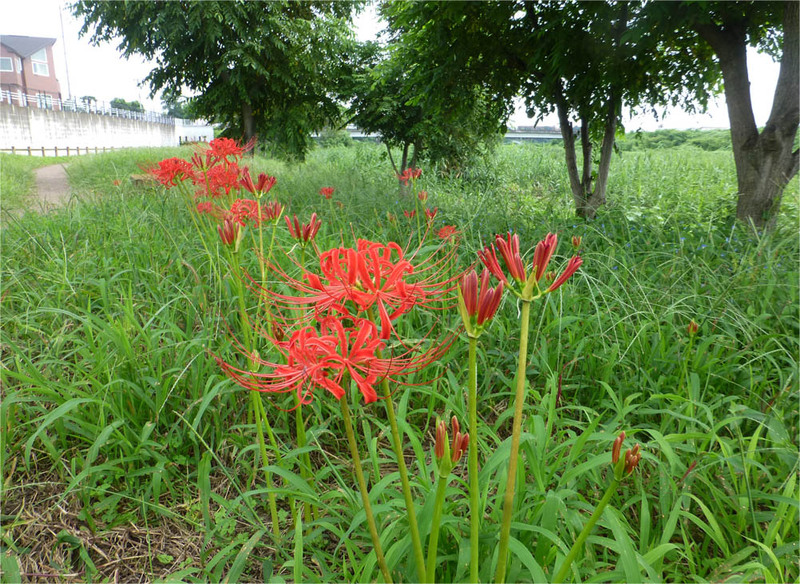 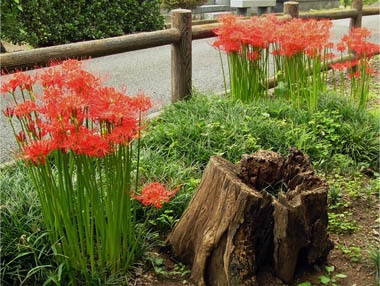 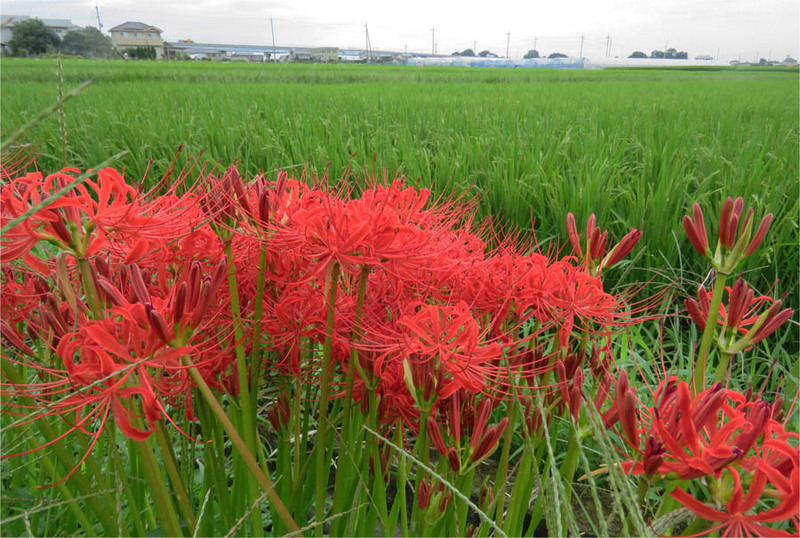 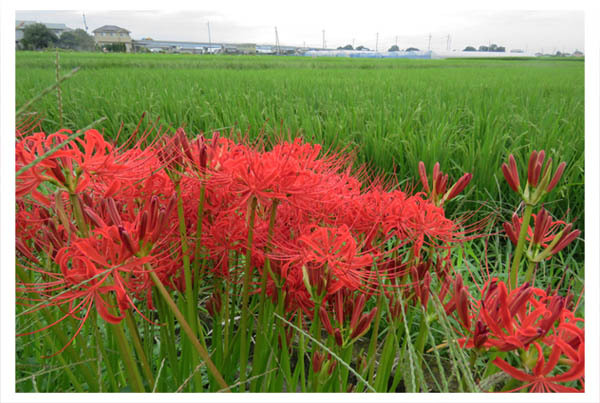 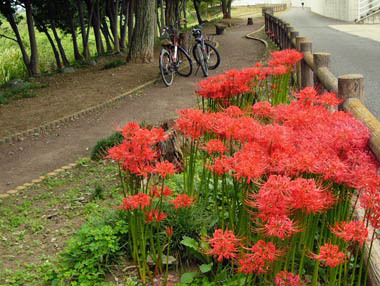 The appearance that a Lycoris of overwhelming quantity covers the ground of the forest impresses many people. 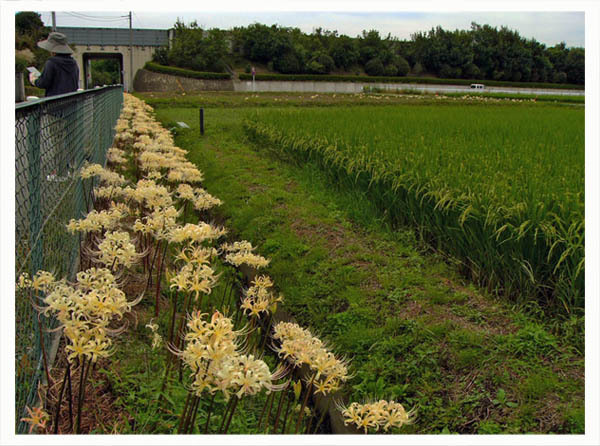 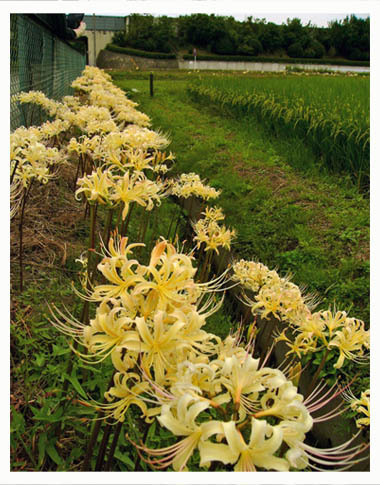 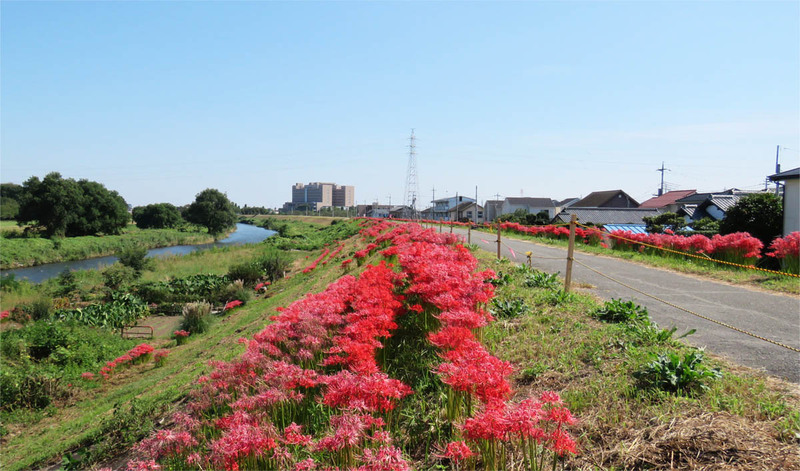 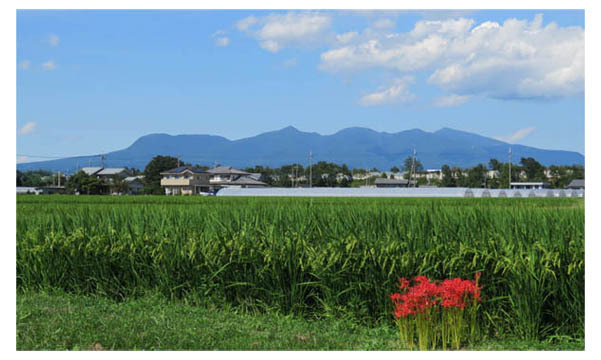 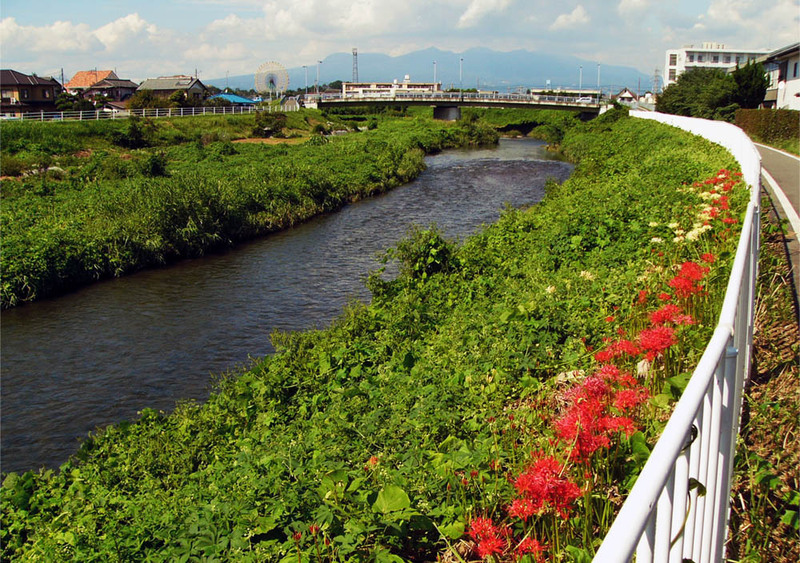 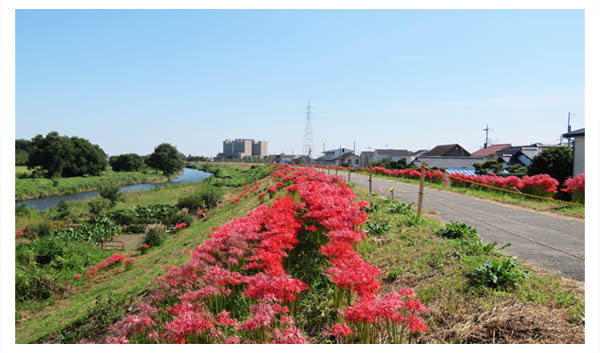 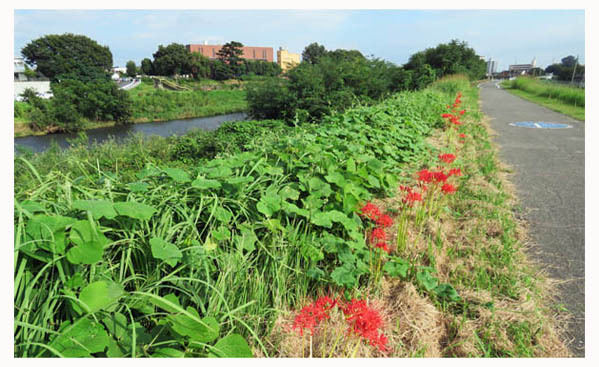 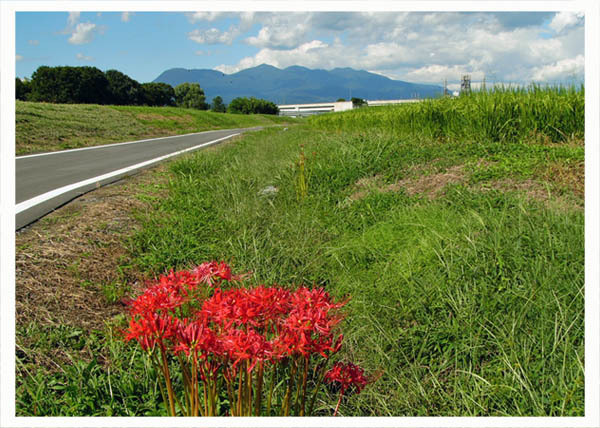 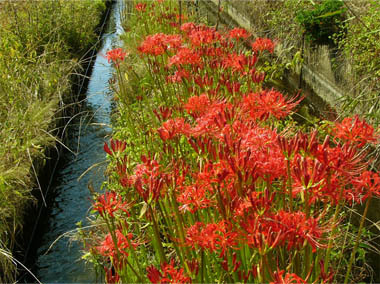 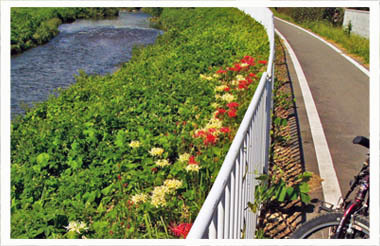 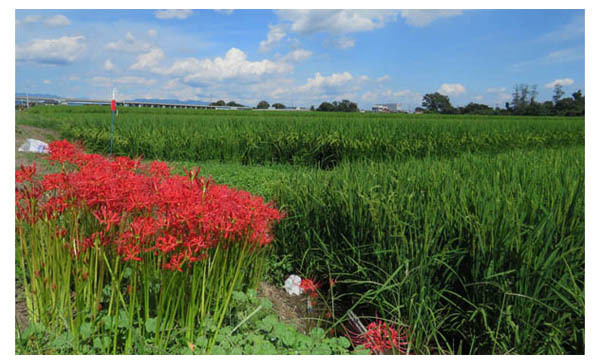 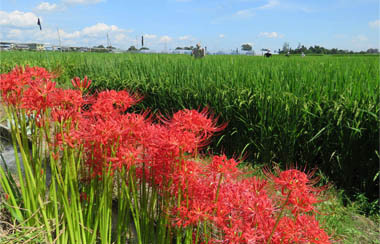 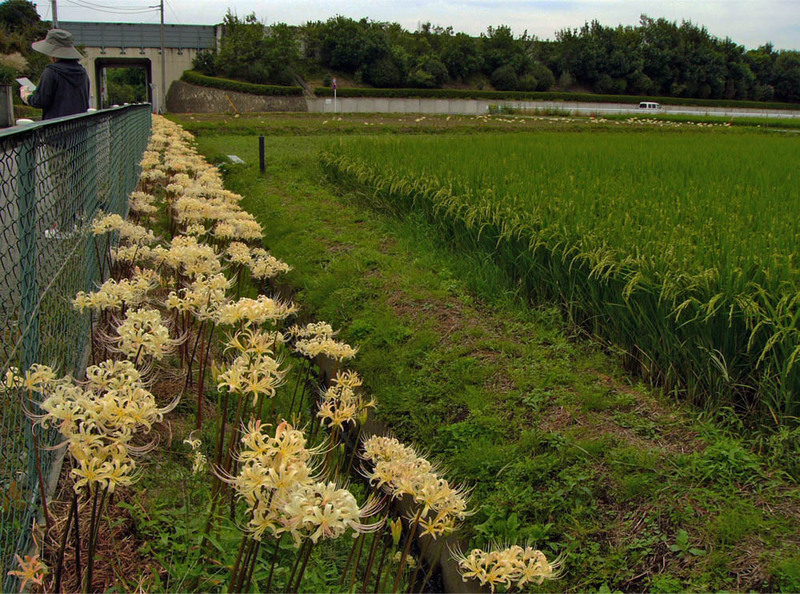 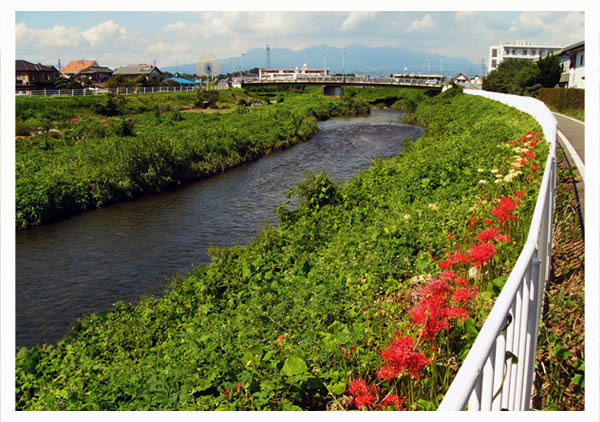 However, Lycoris blooms quietly at many places at the same time in the rural district and the river bank.